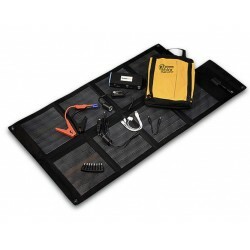 Vehicle Mobility & Safety There are 5 products. 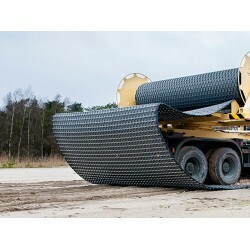 FDS was developed to enable our clients to instantly deploy a temporary road; in a matter of minutes, 100 meter of Portable Roadway can be laid out. 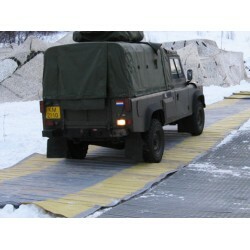 The RVM Heavy Trackway, Mammoth mat is an portable road, reinforced by galvanised steel wires and in transverse direction by steel rods. 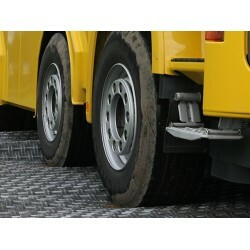 RVM Vehicle Mobility has developed a Light Trackway enabling drivers around the globe to keep their vehicle moving whenever transport roads are in poor condition or not available at all, while not exceeding the total weight of 150 kg. 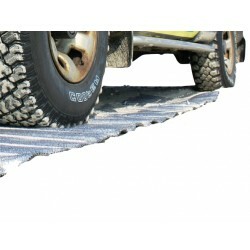 The RVM Bog Strips may be used to facilitate the passage of wheeled vehicles across ground (including loose sand and soft mud) that would otherwise be impassable to them.